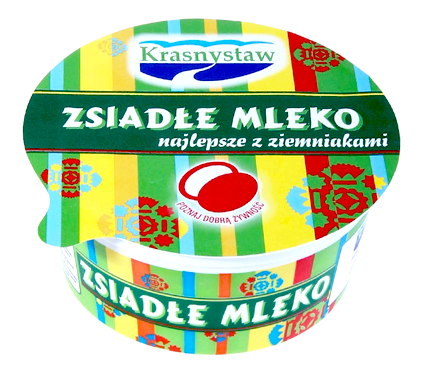 One of my favorite childhood food memories was a summer delicacy called Zsiadłe Mleko or in English, Sour Milk. 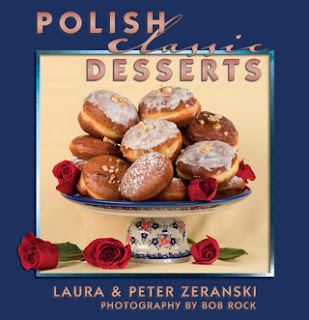 Now before you scroll away or hit the delete key, just hang in there with me because there is nothing spoiled or sour about it and it is a genuine Polish delicacy. I just devoured a bowl of it and it was an absolutely refreshing and tangy summer lunch. Close your eyes and think slightly thin or loose yogurt…with a similar tang of buttermilk and the texture of a light pudding or flan. Its served with buttered baby potatoes and fresh dill. I promise that it really tastes fantastic and there’s nothing sour about it. There was a great story told by my Mom, who was active in the Polish resistance, that during World War II, there was a small band of Polish resistance fighters who found themselves in France behind enemy lines. They were lost and exhausted from dodging the enemy. A French farmer took them in and let them hide in his cow barn. That farmer, seeing that they were also famished, apologized and said that all he had was some potatoes in the field, a few left-over sprigs of dill in the garden, and a bucket of soured milk which he was planning to feed to his pigs. The Polish soldiers, hearing this, started laughing hysterically and pounced on the bucket of sour milk. 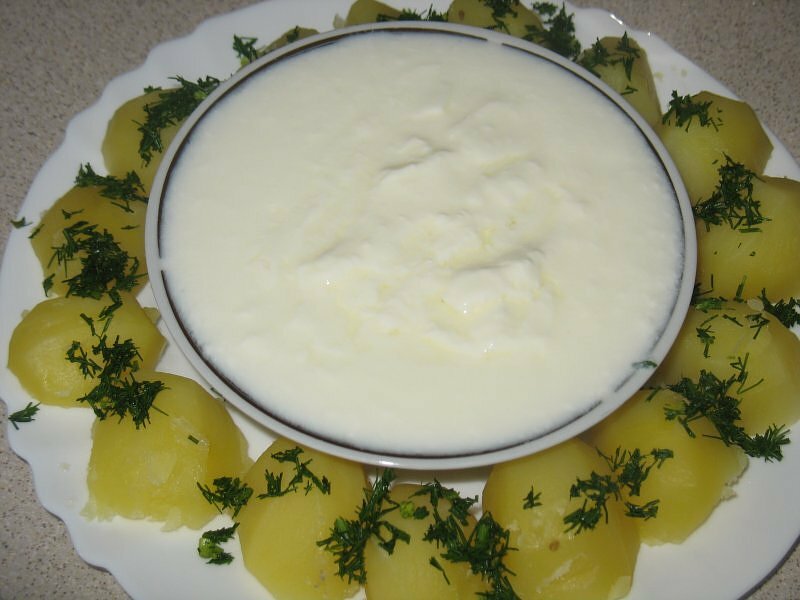 You see, where they grew up in Poland this was a delicacy known as “a dish for kings” -- a bowl of sour milk enjoyed best with a small plate of buttered potatoes and dill. Amazing! In Poland you can buy it commercially prepared but back in the day, this dish was made at home with unpasteurized milk. But these days there is risk of germs or disease from consuming raw milk, so we strongly suggest that only pasteurized milk be used. The Recipe: First, the milk has to be “cultured” to become thick and tart. Pour a quart of whole milk into a glass or ceramic bowl (anything but metal). Add ½ cup of sour cream OR 1 cup of cultured buttermilk. Whisk or blend the mixture thoroughly. Place the bowl into a warm spot (80 °F is great) and let it stand for 24 hours or until thick. Do not move or disturb the bowl while the milk is setting up. When it thickens to the consistency of flan or a light pudding, place the bowl into the fridge and cool for half a day or so. To serve, spoon it into serving bowls and serve with young white potatoes that have been sprinkled with butter and fresh chopped dill. PS: I had a bowl it for lunch – I started it two days ago with a quart of 2% milk and 3 tablespoons of sour cream. The bowl just sat in our kitchen for a day and a half before it set up. A little clear liquid separated in the bowl but I just poured that off. I boiled a few baby white potatoes, sprinkled them with melted butter and dill. My lunch was so refreshing on this hot day and just so delicious that I’ve got another bowl started. Induction site Cookware of solid cast iron, including enamelware, is not subject to such issues; and clad cookware of better-quality lines should not be. Recently I have visited Poland .there I have tested this item from a restaurant and this taste still now mixed with my tongue . then further I have tried to make it by my favorite kitchen room . I always prefer induction cookware set in my kitchen . I have visited Poland. There I have tested this item from a restaurant. Thank you for information. I love cooking meat covering it with sour cream, I like it so much. Meat becomes so soft and tasty, you can't even imagine.